Egyptian officials have suspended a television talk show after a guest suggested that almost a third of the country's women were unfaithful to their husbands. The country's media authority has banned the show for 15 days after complaints about the comments. The guest, Tamour al-Sobky, has said his comments were taken out of context. Other TV shows have also been suspended recently, triggering worries about freedom of speech in Egypt. Mr Sobky said that "almost 30% of women, especially in Upper Egypt, have the tendency to be unfaithful" and that "many women have extramarital affairs while their husbands work abroad to earn their living". He also said that women cheated because married life was boring and they were immoral. The interview was aired last December on the Momken (Possible) programme, broadcast by the privately owned CBC channel, but it did not get much attention until a clip of it was posted on social media, drawing huge public criticism and anger. Mr Sobky is the administrator of a Facebook page entitled Diary of a Suffering Husband, which has more than 1m followers. In his apologies after receiving death threats, he also said that his own mother is from Upper Egypt, a conservative region that is often a source of jokes in the country. Broadcaster CBC has also apologised, saying in a statement that the video of Mr Sobky was part of a long discussion and that the programme's host immediately rejected and refuted the remarks. Authorities reportedly issued a statement, stressing the need to respect all Egyptian women. They said the move was partly intended to show support for a lawsuit filed against Mr Sobky accusing him of offending public morals, the website Egypt Independent reported. The media body has also called on all TV channels to boycott Mr Sobky. Human rights groups have raised concerns about freedom of expression in Egypt, and Amnesty International says that individuals have faced prosecution and imprisonment on charges such as "inciting sectarian strife" and "defamation of religion". 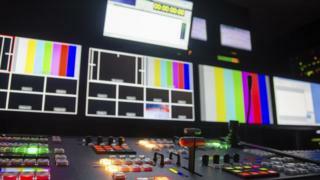 Other TV programmes have been taken off-air in recent years, many accused of making fun of the country's powerful army or President Abdul Fattah al-Sisi, including the show of the popular Egyptian satirist Bassem Youssef in 2013.